I don’t know the history of salad or where this brilliant “dish” (if you will) got its start but I’m really glad it became a thing. There are so many wonderful ways to make a good salad with endless ingredients and methods that come together to create a salad that pleases just about every palate on the planet. 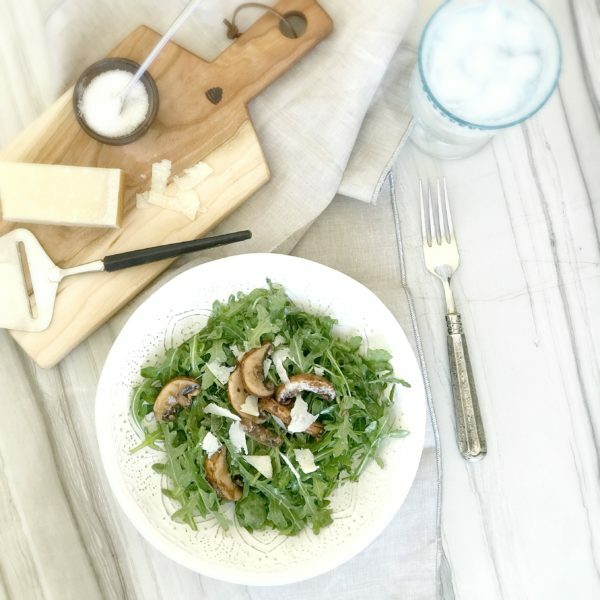 One of my favorite fall and winter salads happens to be is this Arugula and Parmesan Salad inspired by my Tamari, Garlic, and Ginger Mushrooms Salad created by my friend Laurie, creator of NxtNutrio and owner of Basimo Beach Cafe in Clearwater Florida. My favorite part of this salad are the mushrooms. The flavor is a bit pungent because they are marinated in garlic, ginger, and Tamari and balances out nicely with the peppery arugula and the gritty Parmigiano-Reggiano. 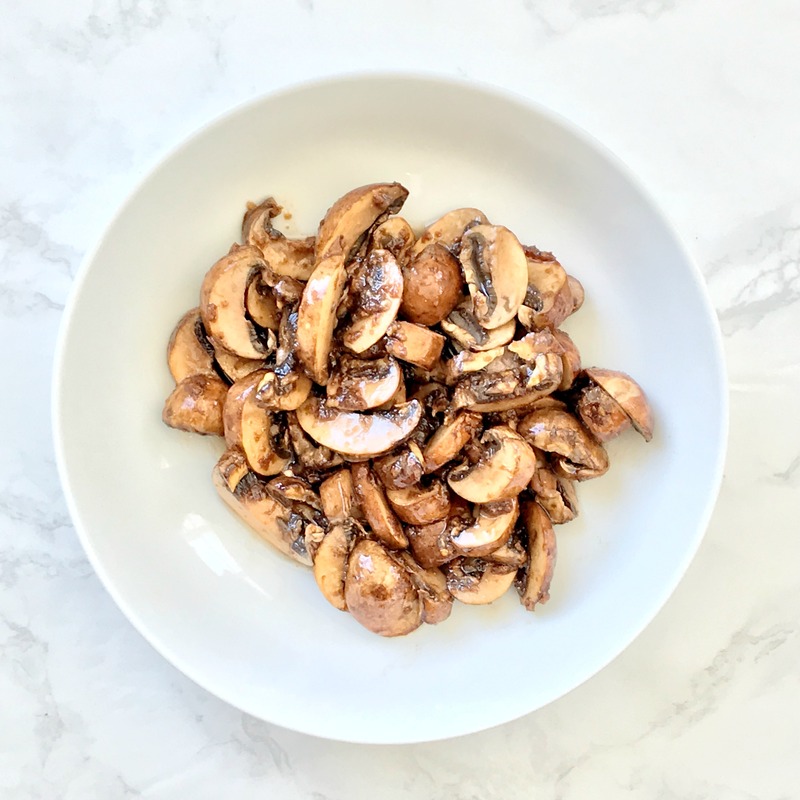 The flavor of these mushrooms are incredibly versatile and pair perfectly with grilled steak or fish, in a stirfry or topped with mashed potatoes and gravy. The possibilities are truly endless. In a medium bowl, whisk together Tamari, garlic, ginger, and olive oil until combined. Add mushrooms and coat completely with sauce. Marinate for 30 minutes or more, coating the mushrooms with sauce as it marinates. Just before serving, place arugula in a mixing bowl and drizzle 1 teaspoon olive oil, and 1/2 teaspoon salt over arugula and toss to coat leaves. Separate arugula into individual serving bowls or a large serving platter. Gently sprinkle mushrooms over top of lettuce, making sure to layer them through the lettuce evenly. Shred desired amount of parmesan over the top of the mushrooms and lettuce. Top with avocado slices (optional).